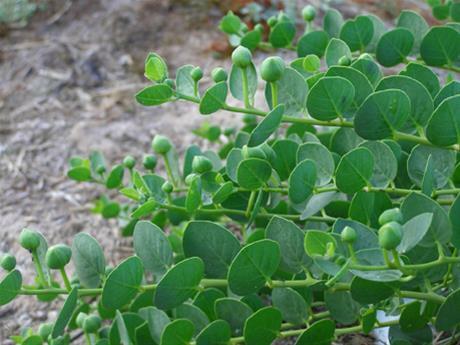 Small, medium or large caper buds in 70 gm packs. The different sizes of salted capers vary slightly in flavour. 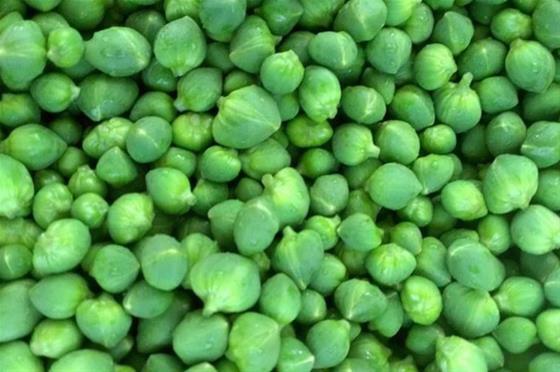 Large buds – as they are closer to bursting into flowers! – are more floral in flavour. Medium buds sit between the two. 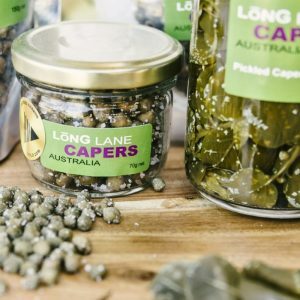 Choose the size based on the subtle differences you want in your dish and impress your friends with your secret knowledge of the nuances of capers. 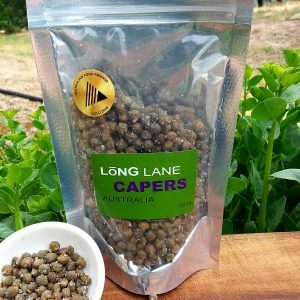 Capers are a great with fish and meats or as an addition to pastas, pizzas, stews, braises, salads and dressings. We recommend soaking in water for about 20 mins before use to reduce the saltiness. 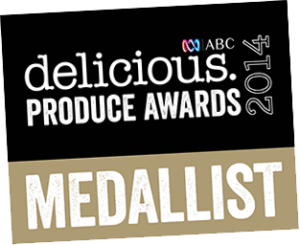 As our products are preserved using salt they have a very long shelf life. 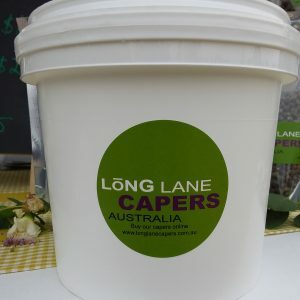 Once opened, we recommend storing capers in the cupboard away from sunlight to maintain the flavour. 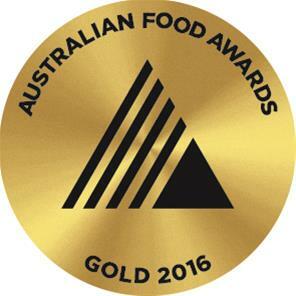 Gold Medallists in 2016 Australian Fine Food Awards and Melbourne’s 2015 Royal Fine Food Awards and medallists 2 years running in the abc Delicious Awards, our hand picked capers have been recognised for their great quality and flavour. 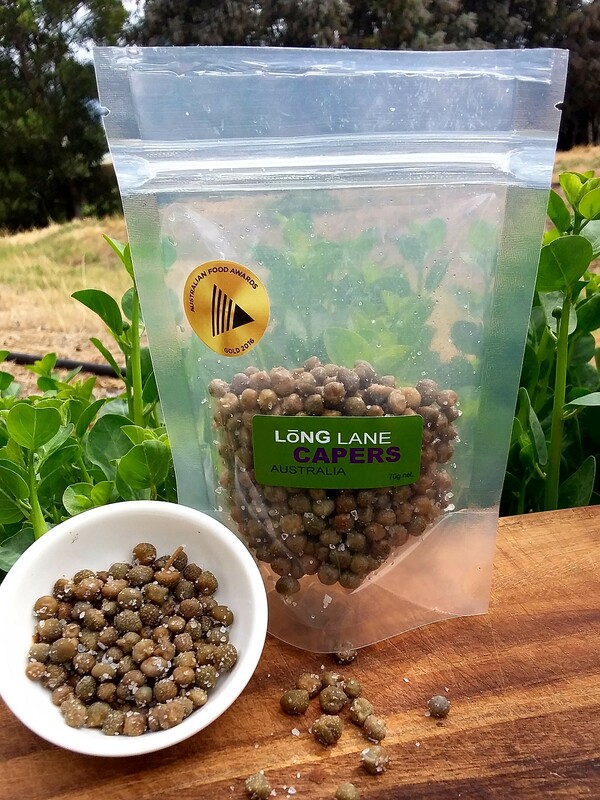 Be the first to review “Salted capers – 70g resealable pouch” Click here to cancel reply.